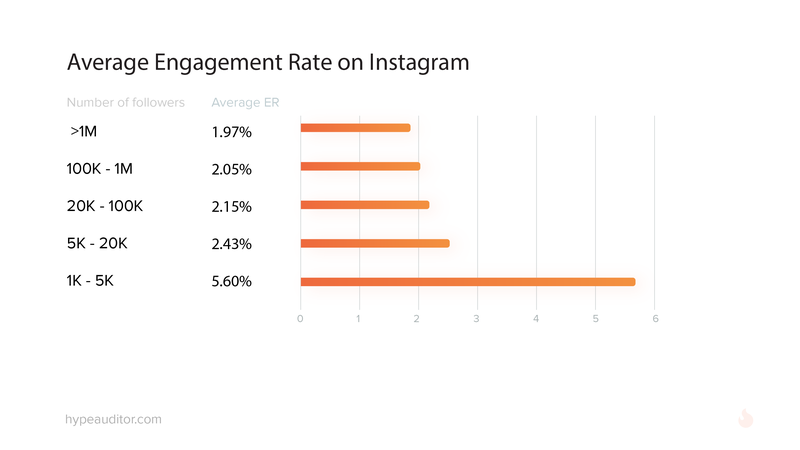 What is Instagram Engagement rate? Engagement Rate (ER) is a popular social media benchmark that has evolved into an industry standard. This easy metric will help you measure the effectiveness of your actions and better understand how much of your audience is engaged with your content. ER numbers show how good the quality of your posts is. How to Calculate Instagram Engagement Rate? 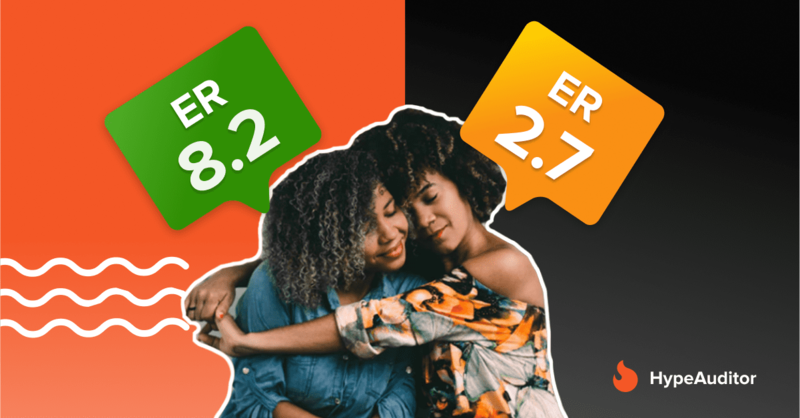 In plain language, ER is your likes and comments divided by the follower count. Although it might sound like a duck soup, in reality, you will need to make analysis yourself, post by post. And believe us, nobody got time for that. Truth be told, there are a thousand and one services that will make it for you. 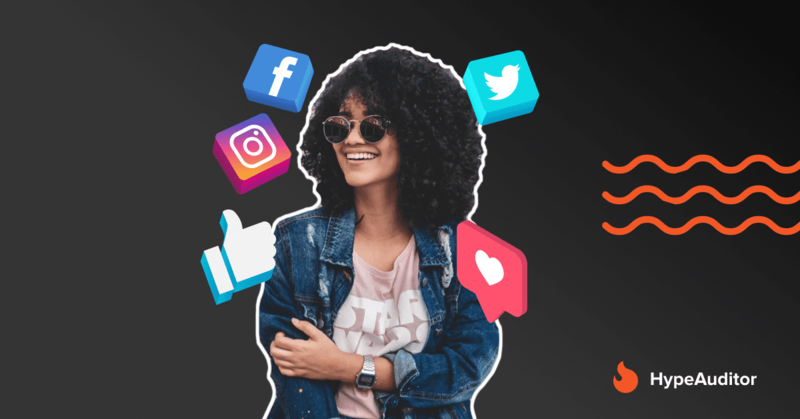 But with HypeAuditor, you will also be able to understand the Authentic Engagement of any Instagram account, i.e., how many of those likes and comments were generated by real people, not the suspicious accounts. And it will give you numbers before you even can say Blueberry pie. And that’s not even the half of the story. or you can have HypeAuditor do all the work for you. The study showed that ER is depending on follower count. 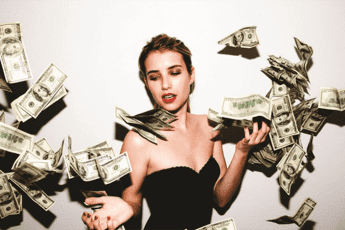 The more followers an influencer has, the lower is their ER. The most active audience have influencers with less than 5K followers. 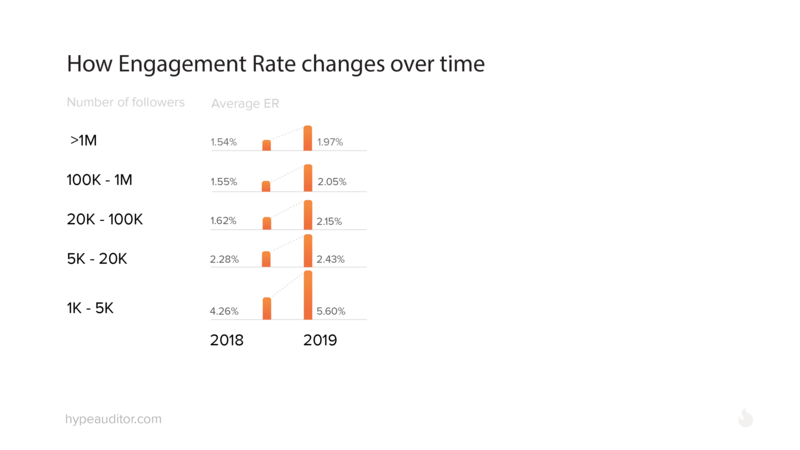 The average Engagement Rate on Instagram in 2019 is 2.84%, but this number is useless because the ER depends on follower count. 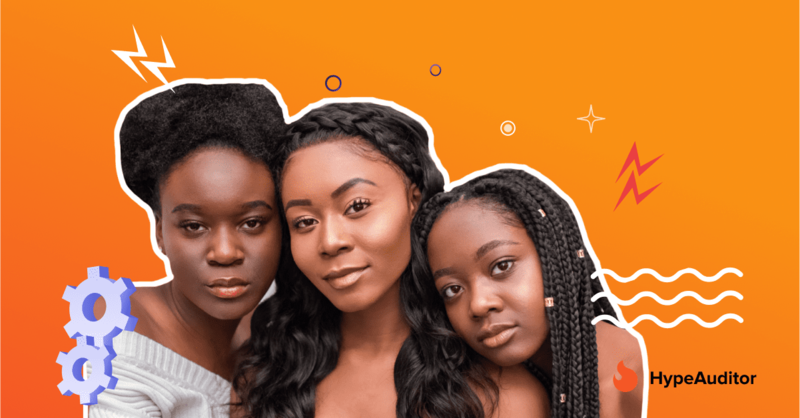 If you have 4K followers and ER 3% – your engagement rate is very low, typical influencer with the same amount of followers has ER around 5.6%. When checking your own ER, you should make an apples-to-apples comparison, looking at influencers with a similar number of followers. Once you calculate the engagement rate of your account you can analyze it and compare with other bloggers with the same size of followers. Less than 2% = Low engagement rate. Between 2% and 3% = Good engagement rate. Above 3% = High engagement rate.